Natural stone countertops have proven to be indispensable and valuable. They are timeless and have an exquisite look that matches their natural source. Many people desire these natural stone countertops to be installed in their homes for their own enjoyment or to increase the resale value. Natural stone countertops make homes appealing and unique. Most times, we speak to clients who have little knowledge about different types of natural stone, their features, pros, and cons. Whether you are an architect, interior designer, builder, project manager, or an end user, it is helpful to have some level of education about the strengths and weaknesses of the various types of natural stone and where they are best used. Below, we have put together helpful information about the most popular types of natural stone to help you in making decisions about their use in your home. Granite is a natural product that has a timeless appeal and aura that take the visual appeal and functionality of a kitchen to the next level. There are more than 20 shades of granite available to choose from. Below are some of the features of granite. Granite is renowned for its unique strength and hardness, which are the core values of this natural stone. It is exceptionally durable and long-lasting compared with other types of natural stone. Granite has the natural appeal of the stone. Granite countertops exude the beauty of the real stone and quickly become the focus of attention anywhere they are installed. The durability of granite makes it the right natural stone countertops for kitchens where there is a high level of traffic and cooking. It can withstand spills and placement of hot items like cooking pots, pans, etc. Granite countertops are available in everything from pristine white to jet black. Shades of brown and pale reds, blues and greens are also available. Marble is famous for its luxurious appearance and natural look. It is the material of choice for a classic and distinctive project. Marble shares more similarities with granite than differences. Marble countertops effortlessly transform the visual appeal of kitchens, bathrooms, and wherever they are installed. Here are more features of marble countertops. 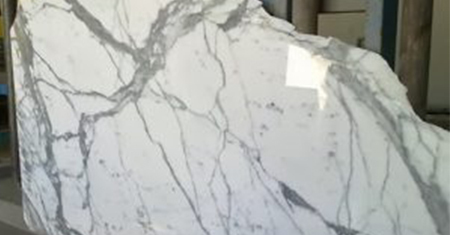 Almost everybody is familiar with marble. Its attractive veining, sweeping lines, colors, and high polish finish makes it the perfect natural stone for luxury design projects. Marble is not as strong as granite, and it requires sealing and maintenance to preserve its beauty. It must be prevented from acidic content to prevent it from etching. Marble is available in a wide variety of striking colors that can meet individual needs. Quartz is made of 93 percent of natural stone and 7 percent of resin or binders. It is unique for its outstanding strength due to the resin. It excels more than other natural stone countertops because it requires no sealing; its resin serves as the sealant. Here is additional information about quartz. Quartz had the natural luster that outclasses other natural Stone products. It is exquisitely beautiful, and it enhances the visual appeal of the kitchen or bathroom where it is used as a countertop. Quartz is extremely hard and strong, which make it suitable as a work surface in the kitchen with heavy traffic. Its resin and natural stone composition account for its strength and hardness. If quartz has any imperfections, they will be very few. That is why quartz has a stunning appearance. As a product that has gone through the binding process, quartz is available in more colors than other products. You can get quartz of any color to complement your decor theme. Quartz is non-porous because of the resin that acts as a sealant; so, it resists oil, juice, coffee, etc. Besides, its surface will not allow bacteria or viruses to grow. Quartz countertops are durable and easy to maintain. Made from natural stone, slate has stellar good looks that makes it more reasonable than granite and marble. Slate is non-porous, resistant to stain, and easy to clean. Here are some of the peticular features of slate countertops. Slate is beautiful and has a subtle shifting in coloration that is not very noticeable as in granite and marble. As a result, you can have a countertop with a uniform appearance. Slate is available in several colors ranging from gray to charcoal, black, brown, pewter, and those having highlights of red, blue, and green. Slate is non-porous and resistant to water, stains, and heat. It is as durable as marble and granite due to the amazing hardness that prevents it from chipping or scratching easily. Slate works well for kitchens, bathrooms, wet bars, sinks, and backsplashes. Slate is more affordable than granite, marble, and quartz. And given its visual appeal, the slate is a perfect alternative to other natural stone products.